There is more to a recording studio than microphones, consoles and speakers. Don't forget the comfort factor. When a budget for a new studio contains only the engineer’s list of preferred gear, watch out for the extras. This is not say that microphones, preamps, monitors, DAWS, plug-ins and racks are essential, but so are other things to make a studio work for clients. Microphone Support — When budgets are tight, items like microphone stands and support accessories often fall to the bottom of the list. Only amateurs cheap out on microphone support gear. Poorly built stands slip and slide and rarely hold a microphone long as it was precisely placed. This can drive an engineer crazy. Get rid of cheap microphones stands and purchase premium brands like K&M, Latch Lake or Triad Orbit. These stands are long term investments and will serve any facility well. Other major microphone support items are quick release clips. These save a huge amount of time, allowing studio technicians to swap out microphones quickly. Any interruption can change the mood of session, and slowly screwing microphones together is one of the most nonsensical delays. Don’t let hiccups occur when simple quick release clips will do the trick. Headphones — Every studio needs headphones. Buy professional quality headphones, not cheap no-name brands. Headphones may take more abuse than other studio items, but that doesn’t diminish their importance. 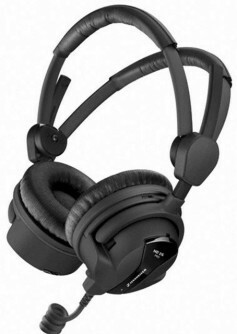 Studio monitor-level headphones with detachable cables last longer, offer better service and impress clients. A cable can easily be replaced when someone steps on it. However, what’s most important is the client’s favorable reaction to good headphones. Regardless of the type of programming being produced, if the client doesn’t like the mix, you are done. A bad headphone experience can devastate a musical performer. With good headphones, clients hear their mix under better conditions and they appreciate it. Also, because there are multiple headphones being used simultaneously, a good quality headphone distribution amplifier is essential. It provides the amplification needed to properly feed each set of headphones. Buy the best quality headphones from companies like Sennheiser, AKG, Shure, Audio-Technica or other known brands. Cables and Power — Build your studio the right way. 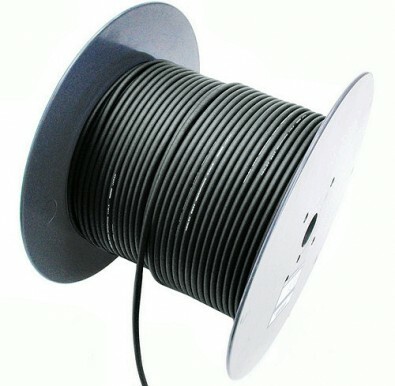 Never use cheap audio cables, try Mogami or Canare cables with high-quality connectors. Buy patch bays that allow quick reconfiguration of the studio’s audio signal path. Make sure than any cable that comes into the studio gets labeled and keep a chart that shows the signal flow of each cable. Labeling goes for all cables plugged into anything, including EQs, compressors, preamps, DAs, microphones and even Thunderbolt devices. Make sure the facility has plenty of power strips with enough amperage to handle all of them. If the studio is catering to musicians, know they have tons of electronic devices that might need power from isolated circuits. Use high-quality power strips and avoid stacking them. Strips can overheat, cause fires and trip circuit breakers. Also, make sure devices in the control room have separate power from the studio. Adequate power is an often overlooked expense in building a studio. Finally, make sure there are adequate mobile phone and tablet chargers scattered around the facility. These days, at virtually every recording session, someone forgets a charging device for their phone. Be ready for them. It is best to have built-in chargers so clients won’t walk away with yours. Mobile phone chargers are now included as standard in many electrical outlets, lamps and other fixtures. 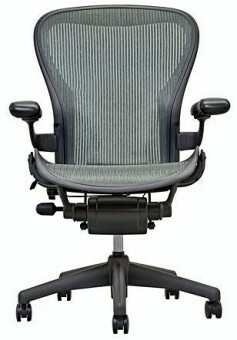 Chairs — One of the most forgotten categories in designing a studio are good quality chairs. Clients sit for long hours and many have physical issues. Plan ahead. Have a variety of comfortable seating available. Seating in the studio for talent is important as well, whether they are voice-over artists or musicians. Chairs are the single thing that makes a studio comfortable or not. Buy top quality seating. Writing — It’s a no brainer, but many forget that a recording studio is a place that should be designed to enhance creativity. Have plenty of good pencils and high-quality paper with your logo nearby so clients can work on scripts, write music or take notes. Offer high-quality name-brand pencils and make an impression. People remember these seemingly minor freebies and that matters. Today’s studio must have more than excellent audio technology. Comfort is number one for most clients, who are under intense pressure when working on their project. Never forget that when designing the working space. Think through all the details and clients will reward you with their business.